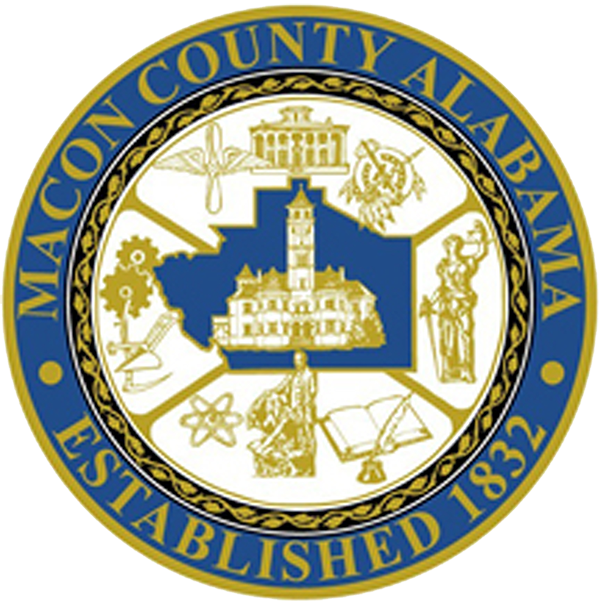 The Macon County Economic Development Authority (MCEDA) was established by a legislative act of the Alabama Legislature and is designated as the official entity responsible for fostering economic development, investment and industry in Macon County. MCEDA works well with its neighboring regional communities and institutions to leverage assets and workforce as well as quality of life. The MCEDA is governed by a board of directors consisting of members appointed by various municipalities in Macon County and by Tuskegee University, Macon County Board of Education, the Chamber of Commerce and legislative delegation of Macon County. It is a diverse and broad-based governing body that allows every community and constituency of Macon County to have a voice. The MCEDA receives operational funds from a severance tax from the abundant sand and gravel that is mined and trucked out of Macon County as well as a one cent per gallon tax on fuel sold in the county. MCEDA often receives support from stakeholders and others to further fund its operations. MCEDA has been successful at every level of commerce from nurturing and expanding Hanon Systems and LogisALL in Shorter to helping architectural fiberglass manufacturer, Fiblast, establish residence in Tuskegee. Retail development at our 5 exits on Interstate 85 is active with our addition of Love's Travel Center at Exit 22 and our newest developments at Exit 38 with fuel, lodging, food and retail. MCEDA associates with Buxton, a retail analytics and strategy firm to assist developers and retailers in locating and targeting customers and sites. The MCEDA is a full service economic development authority with offices in Tuskegee, Alabama. MCEDA works closely with the Tusk-Mac Community Development Corporation at 608 Dibble Street in Tuskegee. The MCEDA has rallied the community together for new prosperity and is the single point of contact for all economic development projects in Macon County. We are committed to helping prospective clients and businesses navigate and network with the various governmental bodies and organizations in our county and state to bring you success! The MCEDA is open for business to assist your business! Number one producer of African-American aerospace science engineers in the nation. A leading producer in the country of African-American engineering graduates in chemical, electrical and mechanical engineering. The top producer of African-American Ph.D. holders in Materials Science and Engineering in the U.S. Produced more African-American general officers in the military than any other institution, including the service academies. The largest producer of African-Americans with baccalaureate degrees in Math, Science and Engineering in Alabama. The only historically black college or university with a fully accredited College of Veterinary Medicine that offers the Doctoral Degree, and produces over 75% of the African-American veterinarians in the world. The only historically black college or university in the nation designated as the location for National Center for Bioethics in Research and Health Care. The first nursing baccalaureate program in Alabama and one of the oldest in the United States. Originator and producer of the famous "Tuskegee Airmen," in partnership with the U.S. Army Air Corps. Producer of the first African-American four-star general: Daniel "Chappie" James. The producer of the first African-American winner of the National Book Award, Ralph Ellison for his book, Invisible Man. The only college or university campus in the nation to be designated a National Historic Site by the U.S. Congress. A center for Plant Biotechnology Research which is training U.S. Scientists and students as well as scientists from Ghana, China, Nigeria, South Africa, Uganda, Egypt, and Tanzania to continue work of Dr. George Washington Carver in today's cutting edge science and technology. One of the first centers funded by NASA to develop a technology for growing food in space during human space missions. The only historically black college or university, and one of only 11 universities in the world funded and authorized by the W.K. Kellogg Foundation to establish and operate a Kellogg Hotel & Conference Center, which is the technologically sophisticated hub of Continuing Education and Hospitality/Tourism Management Training. The offspring of two American giants, Booker T. Washington and George Washington Carver. The only historically black college or university to maintain academic excellence while supporting a football program that exceeds a 680-win career record and many conference titles including 4 consecutive SIAC Conference Football Championships.